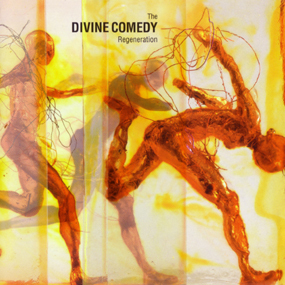 In Autumn 2001 The Divine Comedy announced signing a deal with independent record company Nettwerk for the distribution and promotion of Regeneration in the US. It seems rather odd that happened and EMI were not commissioned for the job; probably because they were not confident in sales in the US, but this is only speculation and we will probably never know the ins and outs of those deals. As a result, many reviews and interviews in the US press; which was followed by a few band live dates and an intensive solo tour supporting Ben Folds across all the USA. The Nettwerk album copy is nearly designed the same way as the European release, and does not features any extra. 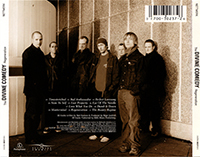 The back cover features the Nettwerk logo in addition to the Parlophone logo. The bar code is also printed on a rough white frame, and not within the standard EMI frame. Under the tracklisting and the generic credits, contact information, copyright notes and catalogue number are printed in smaller. The front cover have a slight difference of cutting compare of the UK/European release, and on the other side has the serial number printed on the bottom right corner. And, as most of US releases, the case has a bar code sticker over the top. It features just the album titles, and the catalogue number 30237. It is also possible that some copies came with a sticker advertising the tour dates supporting Ben Folds, that sticker was also to be found with the American sampler Divine Singles but has got the same serial number as the album release. (an ifpi logo) 1 6 X X where X X are two digits, such as 3 8 or 4 5. Some American promo copies are actually the same as the regular CD album, except that a promotional sticker has been put on the CD itself. The release of the album in the USA, saw also The Divine Comedy’s publishing company BMG Music Publishing deal with their publishing rights. For this, a promo CD-R was done. It comes with a regular jewel case with a white cover featuring a BMG Logo. 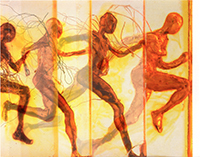 The front cover features the album title and tracklisting, plus contact info. 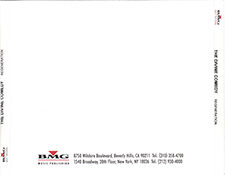 The back cover had the BMG postal address in the States. And the CD-R has a white design with the title and contact info. A set of new photos were shot for the press promo of the album, and these pictures were given away by Nettwerk.